How to watch The Hardy Bucks Movie (2013) on Netflix Singapore! Sorry, The Hardy Bucks Movie is not available on Singaporean Netflix, but you can unlock it right now in Singapore and start watching! With a few simple steps you can change your Netflix region to a country like United Kingdom and start watching British Netflix, which includes The Hardy Bucks Movie. We'll keep checking Netflix Singapore for The Hardy Bucks Movie, and this page will be updated with any changes. The Hardy Bucks Movie is not available in Singapore BUT it can be unlocked and viewed! Party-loving Irelanders plan a road trip to Poland to take in some soccer and sights. But their journey veers way off-course when they hit Amsterdam. Five lads head out on a European adventure looking for excitement and find way more than they can handle. There is a way to watch The Hardy Bucks Movie in Singapore, even though it isn't currently available on Netflix locally. What you need is a system that lets you change your Netflix country. With a few simple steps you can be watching The Hardy Bucks Movie and thousands of other titles! 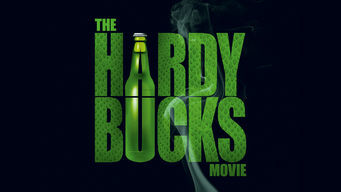 Watch "The Hardy Bucks Movie"